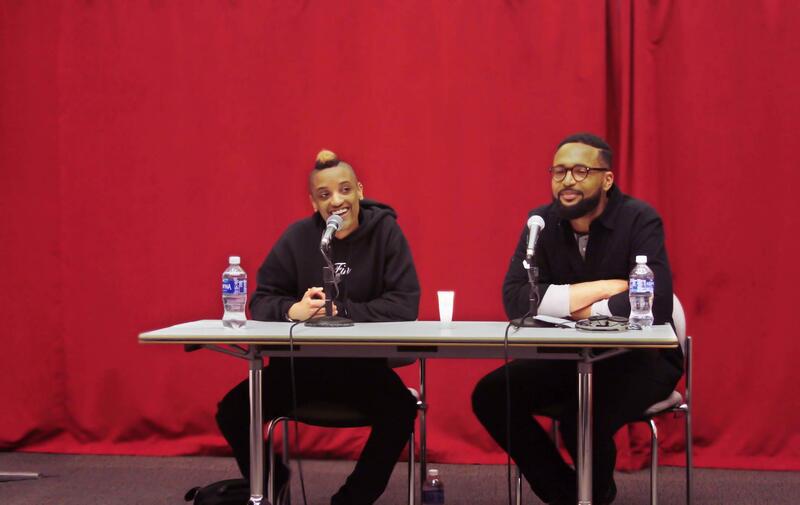 Syd The Kid (left) and Gallatin professor Kwami Coleman (right) discuss Syd's backstory, from what made her want to begin her musical career to how she got to where she is today with The Internet. The Q&A session occurred on Feb. 24. 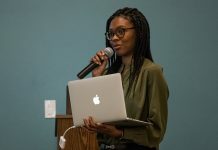 Respected for her success in a male-dominated industry, singer-songwriter and producer Syd Tha Kyd, appeared calm in front of an audience of several dozen NYU students. She won them over during the course of her Q&A session collaboratively organized by Sony Music U, Gentlemen of Quality at NYU, Black Student Union at NYU and New Major Records and moderated by NYU assistant professor of musicology Kwami Coleman. Born and bred in Los Angeles, Syd’s interest in song production blossomed with GarageBand and manifested itself in her assembling of a makeshift studio in her bedroom at age 14. She connected with notable artists on MySpace and became a key element in the hip-hop collective Odd Future. Now, 10 years down the road, she’s found her stride as the only female member of the Grammy-nominated band The Internet and has released her own critically-acclaimed solo album. Effortlessly humorous and engaging, Syd touched upon topics such as quelling one’s own critical voice during the creative process and approaching a daunting industry full-force — regardless of her oft-marginalized identity. When asked about what goes through her mind when making music, she emphasized that less is more. This was a point that Christopher Smith, drummer for The Internet, would later reiterate with his “three S’s” approach — shave, shape, sweep. Syd also shared her favorite life-changing advice regarding persistence, which she had discovered while watching an interview with California rapper James Fauntleroy. For Syd, songwriting is an outlet for telling honest stories and balancing her occasional urges to “turn up and f—k everything,” expressing frustrations and anger through art rather than taking them out on other people. This served as a segue for the audience to ask Syd about music as a vehicle for social justice. She agreed that music can be a suitable medium, but felt that it was better utilized as a tool for healing — a valuable counterbalance to hate and prejudice. When probed further to share her take on the United States’ current political climate, Syd again deliberately kept a separation between herself and the roiling world of social injustice. For many aspiring artists, Syd’s perspectives are particularly important, since she is one of the few openly gay women of color making waves in a male-dominated industry. 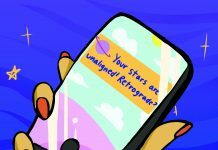 When asked what advice she would provide to other women trying to break out, she simply suggested facing it like any other industry — neither leveraging one’s identity nor treating it as a hindrance. CORRECTION: A previous version of this article said that Syd Tha Kyd spoke to a broadcasted audience, but this was not the case. It also stated she is famed “for standing out as an openly queer woman in a predominantly straight, male space.” However, the artist does not define her career with this identity. We have updated the article to reflect this information.